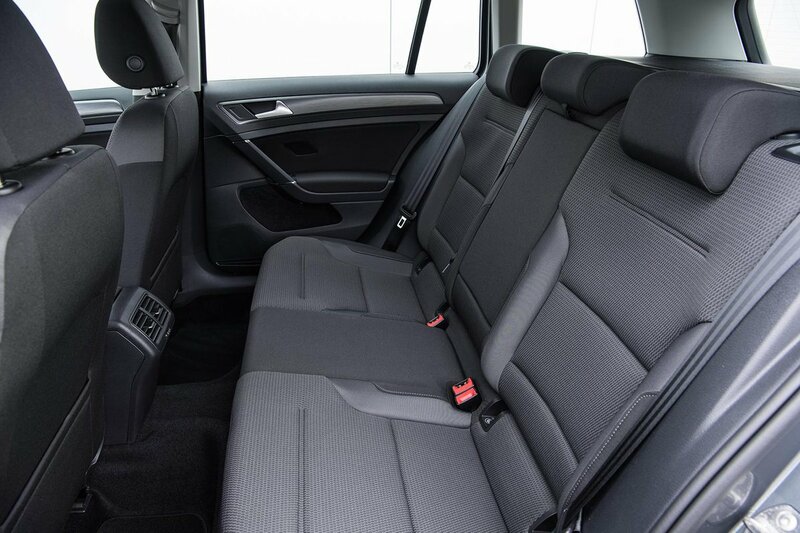 Volkswagen Golf Estate Boot Space, Size, Seats | What Car? Are you tall and fed up with cars that leave you needing an extra knee to get your legs in, or ruining you bouffant as you smear hair gel across the rooflining? 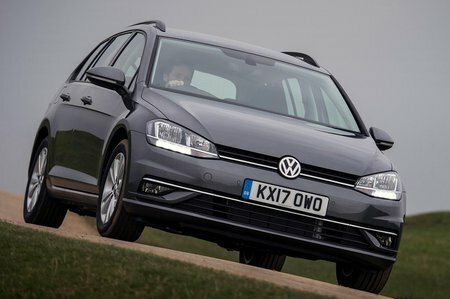 Well, try the Golf Estate; it has an abundance of head and leg room up front, with a generously wide interior that means you won’t want for shoulder room, either. The front door pockets are big enough for a 500ml bottle of water and there are two cupholders in the centre console. You’ll also find a storage bin under the front centre armrest, along with a decent-sized glovebox that’s kept cool by the air-con. Step up from entry-level S to SE trim and you get a discrete drawer under the front passenger seat and a glasses holder by the rear-view mirror. It’s all jolly well thought through. The Golf’s large interior dimensions mean two six-footers will easily fit in the back, although life isn’t so comfortable for a third occupant in the middle because of the raised floor in the middle; it’s a pain to clamber over and robs the passenger of foot space. But for two people, there’s a decent amount of leg and head room, although not quite as much as you’ll find in the class-leading Skoda Octavia Estate. Large, square rear door openings make it easy to get in and out of the back without banging your head, too. The rear door bins are narrow, but SE models and upwards have a couple of cupholders in the rear centre armrest, along with storage pockets on the rear of the front seats. This is one area where a regular estate can lose out to new-fangled SUVs, which can have fancy sliding and reclining rear seats. Don’t expect such trickery from the Golf; the seats are, well, just seats. Of course, you can fold the 60/40-split seatbacks down by pulling handles on the sides of the boot and, once dropped, they lie totally flat without you first having to flip up the bases, like you do in some rivals. All versions have a height-adjustable front passenger seat, while you can pay extra on many models to have one that clamshells down, allowing you to carry seriously long items from the boot all the way to the dashboard, such as ladders. All bar the entry-level S trim come with adjustable lumbar support for the passenger seat, too. 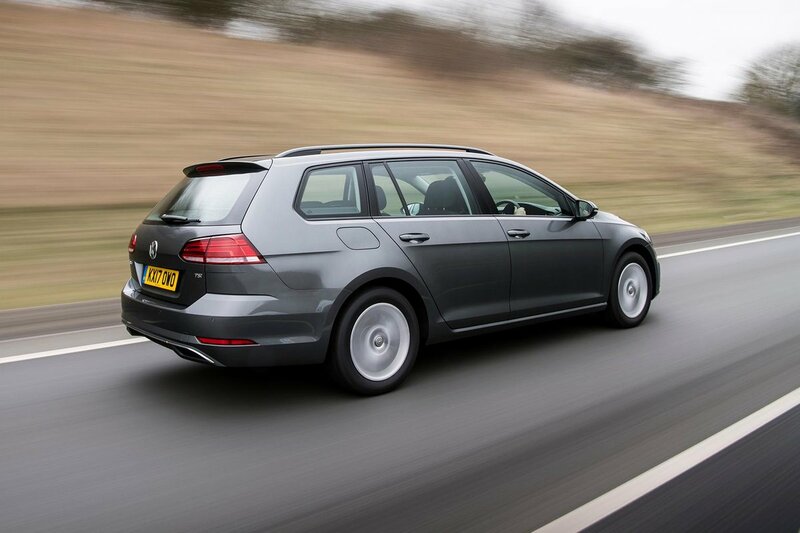 The Golf has one of the biggest boots of any family estates, with plenty of room for all sorts of paraphernalia. The fact that the load bay is so evenly shaped helps make it easy to pack and there’s no boot lip to get in the way when loading and unloading heavy items. The standard height-adjustable boot floor is a massive bonus; it lets you divide the load area in two and eliminates any step in the floor when the rear seats are folded down. SE models and upwards also come with a through-load facility, which allows you to carry long, thin items such as skis without folding down the rear seats.